If your idea of a great drive requires a good view, then the perfect drive in Sussex has to begin at one of the most majestic coastline vistas of all: Beachy Head. 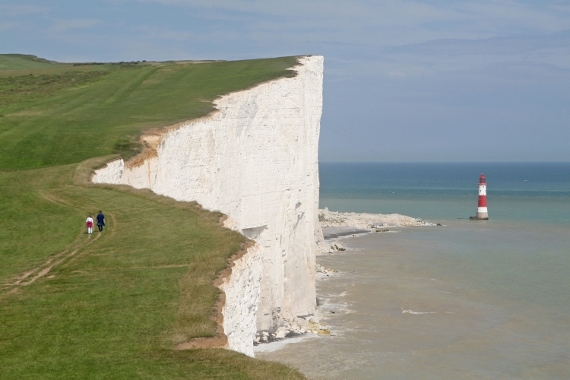 Standing at the top of the headland, with panoramic views of England’s enchanting Channel coast, it’s hard to imagine that the highest chalk cliff in the country was once beneath the sea, until it was pushed up perhaps as long ago as 100 million years. On a good day, you’ll fill your camera’s memory card snapping photos of the views. To the east lies Eastbourne and its pier, beyond that Hastings. To the west sits Brighton, and, with a pair of binoculars to hand, you’ll even catch a glimpse of Chichester; which is fitting, because this 60-mile road trip hugs the coastal roads all the way until it turns inland for Chichester. And what a road. For the keen driver, the fun begins on the outskirts of Eastbourne. The B2103 runs along the seafront and then mounts the South Downs, twisting and turning in a sequence of tyre-squealing hairpins beneath the trees before you take a left onto Beachy Head Road. 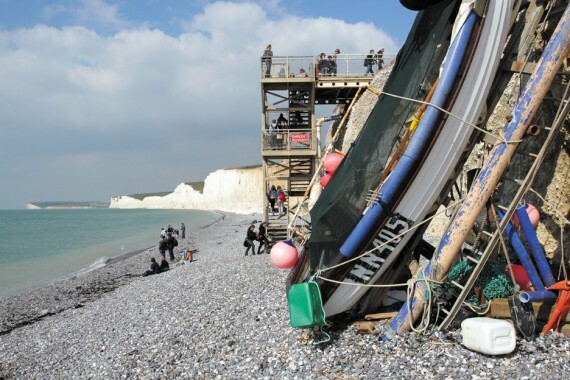 Here you’ll be uplifted by the far-reaching views and can park, buy an ice cream and stroll along the cliff-top paths before continuing the journey past the sea-battered Birling Gap. Resist the urge to stroll on the beach at Birling Gap, because your final destination is one best beaches in Britain: West Wittering. Beachy Head Road is a joy to drive, with good visibility through the bends, but you’ll be better tackling it in the spring or autumn, when the summer daytrippers have packed away their picnics. The A259 rises and falls as it ribbons its way over the South Downs, across the River Cuckmere (which walkers may like to follow out to the sea) and through Seven Sisters Country Park. 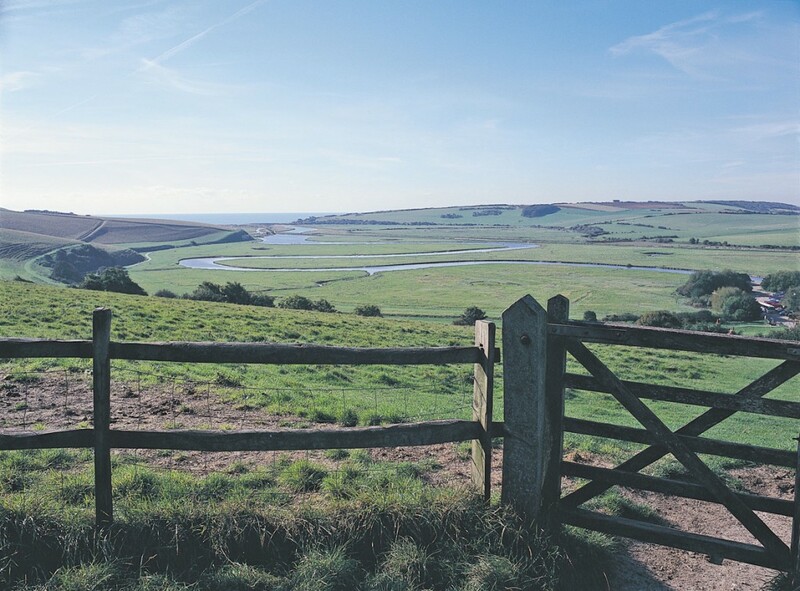 The views just keep on coming – no surprise, given this is a designated area of outstanding natural beauty – before you drop down into Newhaven and then pull into the pop-rock surroundings of Brighton. There couldn’t be a better stopover for a spot of fish and chips – followed, of course, by a stroll along the promenade to the Marine Palace, better known as Brighton Pier. From here this Sussex road trip passes through the considerably more sleepy surroundings of Lancing, Worthing and Goring, before jutting around Littlehampton. 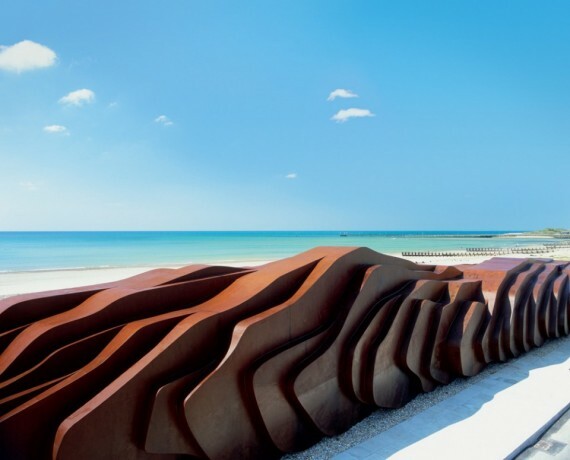 If you don’t fancy lunching in the hustle and bustle of Brighton, the striking East Beach Café – which looks like eroded sand dunes – opens it glass-front to the beach at Littlehampton and is well worth a pitstop. The A259 then passes through Bognor Regis, the kiss-me-quick home of Butlins, before turning north towards Chichester. There’s enough to see and do in Chichester to fill a day, but the one place well worth a visit is the cathedral, which houses a collection of modern art, including The New Creation Window of vibrant stained glass. There’s also a tour to the top of the tower that ensures breath-taking views. After so much activity, it’s time to kick back and relax. West Wittering is the perfect place for that. Its sandy beaches are unspoiled, with precious little commercialisation and plenty of space to find some solitude. You can picnic in the sun, walk along the water’s edge or get really energetic and learn to surf. If all that driving and sightseeing leaves you in need of rest and refreshment, make your final destination on this road trip the Crab & Lobster inn on the banks of Pagham Harbour and nature reserve. With cosy rooms, warm fires and excellent food, you may not want to leave this part of West Sussex.